Atharva Veda Upakarma, or Atharva Vedi Shravani, is the sacred thread changing ceremony observed by the Brahmins who follow the Atharva Veda. In 2019, date of Atharva Vedi Shravani is September 14. The Upakarma prayoga or method employed by Atharva Vedi Brahmins is different from Upakarma of Rig and Yajur Vedis. The sacred thread worn by the Brahmins known as ‘Yagnopaveetham’ is changed on this day. 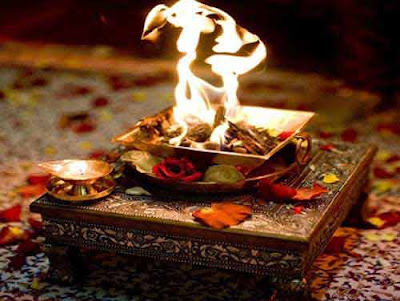 The rituals is of great importance to people who follow the Atharva Veda tradition. The ritual is also known by the name of Upanayanam or Upanayana and Avani Avittam. The sacred thread Yagnopaveetham is known as Poonol in Malayalam, Jandhyamu in Telugu and Janivaara in Kannada. The Upakarma ritual is usually performed by a group in a temple or by the side of a river or sacred pond (Tirth). Today, people also perform the ritual at home. Atharva Vedi Shravani is observed on the Bhadrapada Purnima day.